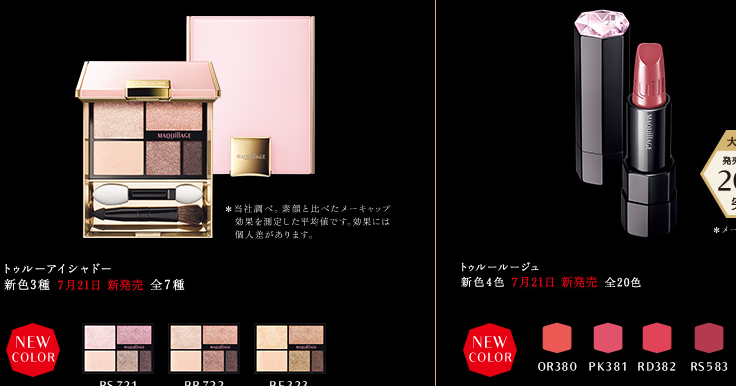 Maquillage will release three new True Eyeshadow palettes and four new shades of True Rouge for summer on 21 July in Japan. True Rouge has racked up sales of over 2 million units in just ten months since its launch. Maquillage is also starting pre-orders of its holiday coffret, Aura Brilliance Collection which will be released on 21 November. 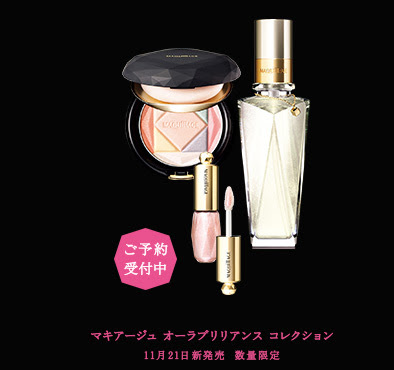 It includes a Face Powder Compact, Essence Glamorous Rouge #10 Lucent Pink and Jelly Fragrance with a floral fruity aroma.